Prosecutor General Sotir Tsatsarov literally mocked the public. He promised to reveal the ownership of the company “Yulen” but did not do so. Nevertheless, he revealed that the Prosecutor’s Office is either incompetent or providing a cover-up for the hidden owner of “Yulen” – banker Tseko Minev. On Thursday, November 22, in an interview with the late night show “Slavi’s Show”, Sotir Tsatsarov said that the Prosecutor’s Office will reveal on Friday the name of the real owner of “Yulen”, the company concessionaire of the Bansko ski zone. On Friday, Rumyana Arnaudova, spokesperson of the Prosecutor General, told the site Dnevnik that information on the majority shareholder in “Yulen” – “TAC Services Limited” – was still expected from the Virgin Islands in order to establish the real owner. However, the ownership of “TAC Services Limited” is quite clear and is declared in the Bulgarian Trade Register (see the document here). There is no reason for the prosecution to seek it from the Virgin Islands for five months already. The only shareholder in “TAC Services Limited” is the Cypriot company “DUC Nominees Limited”. The Cypriot registry is public and it shows that the majority owner of “DUC Nominees Limited” is Georgios Georgiou. An earlier investigation by Bivol revealed that the same Georgios is a destitute Cypriot citizen and the named owner of companies that have drawn loans in the amount of BGN 1.5 billion from First Investment Bank (FIB) where Minev is a majority shareholder. According to Prime Minister Boyko Borisov own admission, Tseko Minev is the person behind Georgios Georgiou. 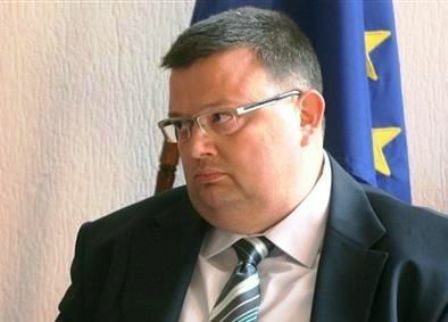 Before Borisov, “Yulen’s” lawyer Yulian Petrov said that Georgios Georgiou was only the named owner and all the competent institutions in the country knew who is the real owner of “Yulen”. Only Tsatsarov, who has all the powers, refuses to investigate beyond the Virgin Islands and is still waiting for an official document from there for something that is available at one click away in the Trade Register. If it is officially confirmed that Tseko Minev is behind Georgios Georgiou, he must be arrested and accused of syphoning billions from FIB. Friday’s announcement of the Prosecutor’s Office can be interpreted only in two ways: admission of incompetence and inability or prosecution cover-up for Tseko Minev. As Bivol already wrote, when the bubble bursts, Tsatsarov will be the one held accountable. This is now confirmed and stamped by himself, with his own lies to the nation from the TV screen.